The DP4000 Series portable delivers unrivaled voice and data communications with optional integrated GPS plus Bluetooth audio and data plus best-in-class audio that includes Intelligent Audio and customizable voice announcement feature. Available in UHF and VHF frequency bands, the DP4000 Series is easy to use and features up to 32 channel capacity, five programmable buttons, emergency button, IP57 specifications for submersibility and FM intrinsically safe option. The new IC-F5012/F6012 mobile transceiver series is the replacement to Icom’s best selling IC-F110S/F210S series and is designed as a simplified counterpart to Icom’s IC-F5022/F6022 series. This series has many attractive features and an uncomplicated LED display that makes it ideally suited to small to mid sized radio systems such as taxi operators, construction companies, security firms and farmers. 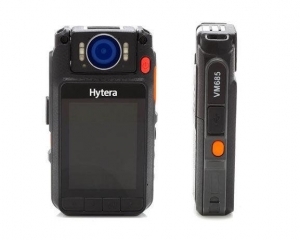 Ears plc offers a wide range of Motorola Hand Portable Two-Way Radios. Or try out the new Hytera Remote Video Speaker Microphone. This one of a kind product is designed to capture, store and share media including audio, image and video evidence taken from the field, enabling you to have complete oversite of what is happening at your events. Call EARS today to test one of these out for free. All our fleet is available for Hire for a day, weekend , weekly, monthly or annually to suit your requirements.